Blair Wilson is the co-founder of MedX Precision Fitness (@Medxfitness), a fast growing strength training facility in Toronto, Canada. Prior to starting MedX Precision Fitness, Blair was a professional water skier and long time mentee to John Little. Blair has contributed to several influential studies on the mechanisms of fitness and weight loss – two of which have been published in international publications – and he is also a founding member of the Canadian Sarcopenia Foundation. In this episode, Blair and I focus mostly on his recent findings from data on himself and his own clients. 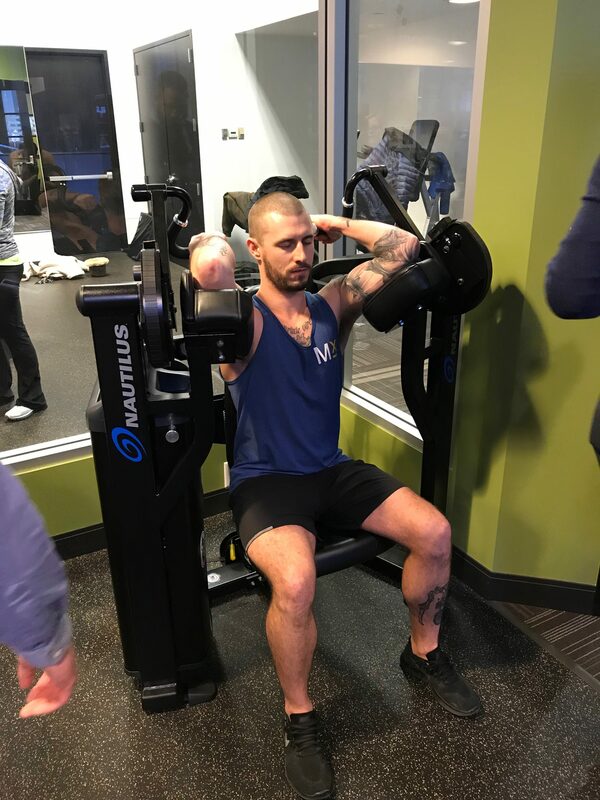 Blair has noticed that many of his trained clients have noticed significant muscle gain following periods of extending rest from regular training. This is an ideal episode for you if you’re a trained individual who is looking to optimise muscle gain over the long-term or a business owner looking to do the same for your clients. Eyes closed and focused during the Discover Strength, Nautilus Pull Over. Bod Pod vs DEXA vs electric sales – what makes the most sense? 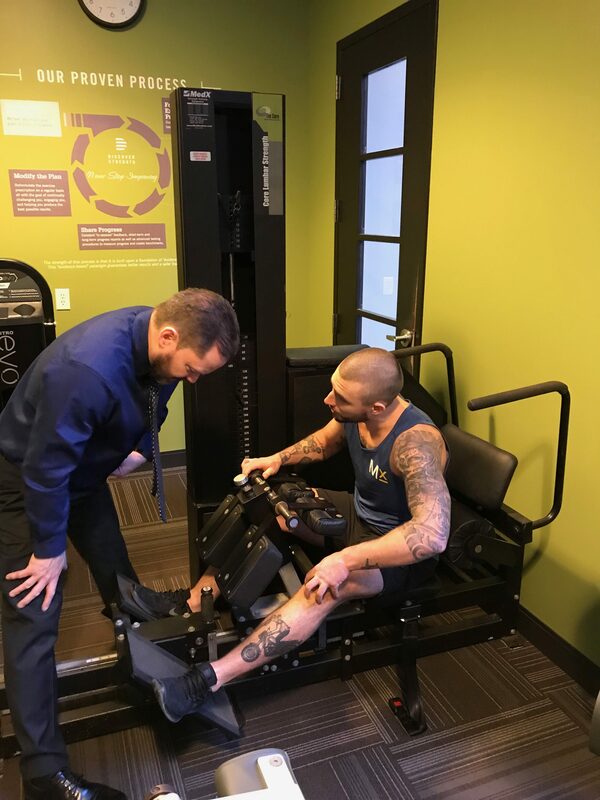 All of the photos and videos on this post were taken at Discover Strength, Minneapolis, Minnesota, during the Resistance Exercise Conference in 2018. These were taken during the early morning workout on day 2. It was the hardest workout I had ever done (my photos coming soon). The Resistance Exercise Conference is an amazing experience. I had the time of my life. It is an opportunity to connect with like-minded high achievers in strength training, hear from the leading researchers and practitioners and learn a ton about strength training practice and business. Going forward, I am looking to attend every single year. 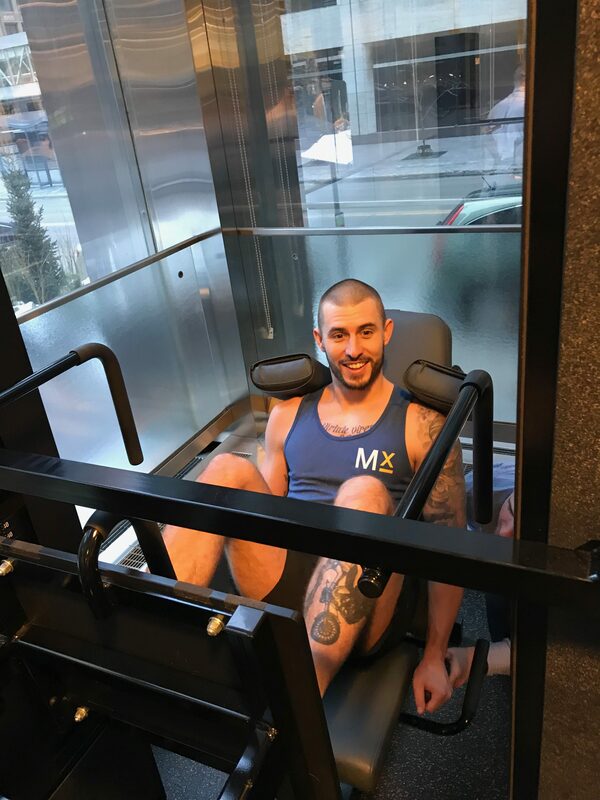 Blair on the Discover Strength, MedX Leg Press. I have no idea what he’s smiling about?! QUESTION(S) OF THE DAY: Have you experimented with periodic lay-offs from training? If so, what were the results? Let me know in the comments below. It seems, in layman’s terms, that maybe the body needs a long enough pause from near-term demand to permit a re-allocation of resources to building muscle. Beyond recovery to rejuvenation. Indeed it is! I love science but no harm in tinkering in the gym too! muscle damage = MPS and recovery but not hypertrophy (super compensation) as per Blair’s point during this, so looking to having said researcher on podcast! ???? Looking forward to that teased podcast Lawrence, will the actual timecourse of these recovery and supercompensation processes be discussed as well? I wonder if limiting muscle damage somehow will speed up this process. Very interesting podcast ! It doesn’t surprise me that much that Blair is discovering these types of findings because i’ve found that more time between sessions seems to increase my muscle mass . I say seems to because i’ve only taken arm measurements to confirm this , better than nothing right ! Interesting! I might have to bite the bullet and experiment with longer occasional rest periods on myself. I’m not quite sure what is so surprising about Blair’s findings with his clients. I mean, there’s obviously a lag between the training stimulus and tissue growth, right? Is he saying that the lag is longer than expected? A fascinating and interesting interview Lawrence. I couldn’t agree more with the concept that well before you have to start using a cane or a walker, start strength training! Hear hear Malcolm! It’s exciting stuff. I love all these gym based findings 😀 Glad you enjoyed the podcast.